As are many of the places I review, this place has been on my list since it opened. Not sure why I had not been yet, but I am glad I did finally make my way in. We went at 2 in the afternoon. Kind of a weird time to eat, but we were not alone. The lunch menu was still available and the choices were great. I love Gyros, but my daughter and I wanted to share something so we opted for the Gryos platter. It was almost a scene out of Portlandia as I had him describe exactly what this would look like. I guess I mostly wanted to know if I could assemble my own gyro or if it was more for just dipping and eating. Just so you know, it’s both. 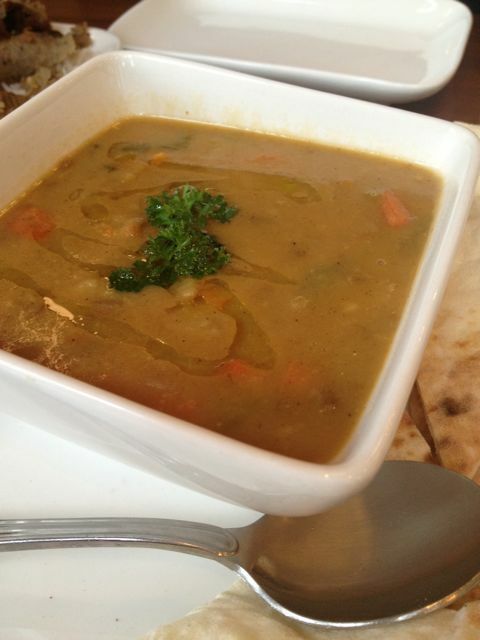 We also ordered the soup of the day which was a lentil soup with lamb. He told us a few times that this soup was very good. I figured we should at least try it, right? 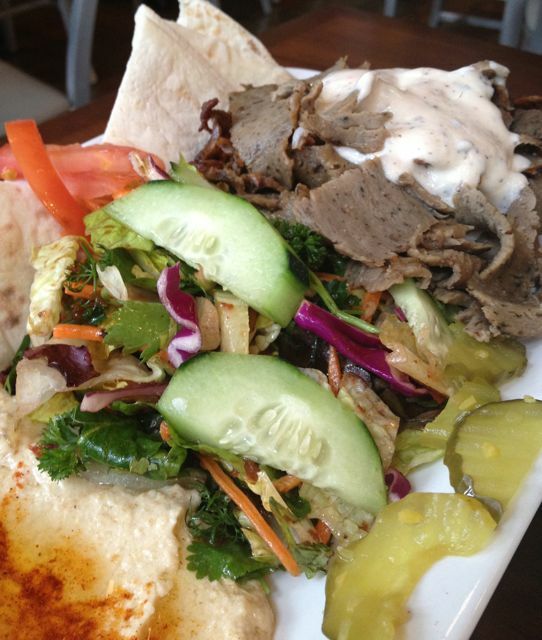 The Gyro platter we ordered was the lamb and beef gyro. It was served over rice and had a sauce on top. Not exactly sure what the sauce was, but I do know it was not tzatziki. Nonetheless, it was really good and very light. There was also a salad on the platter and also hummus with pita. Of course the soup was great, just like we were told. I really liked this place and do plan to return. My daughter is now calling this her new favorite restaurant in Portland, and let me tell you it was a fight to get my share of the food. I did notice that the bar was well stocked and after looking on facebook and looking through pictures it seems like Shiraz might have quite the night life. Since I started writing this we have been back. I know, it was that good. We stopped in for drinks, got to chatting with the guy behind the bar and it turns out it was the owner. Great guy! Atmosphere was quite cozy. I loved everything from the artwork to the ceiling tiles. It’s on a corner to so it’s also very light and bright, even on a gloomy day. Service was excellent. They kept out glasses full, they checked on us, the made sure we ordered well. I love it when they help you out, steering you in the right direction. Price was very affordable. It cost just $15 for both of us. We both left full and very happy. Shiraz in located in the Pearl.